NASHVILLE, TN — With another election around the corner that can change the political landscape of Nashville, Pastor Howard E. Jones confidently proclaims he is not intimidated by the footprints left behind by the retiring State Senator Thelma Harper but inspired, honored and eager. 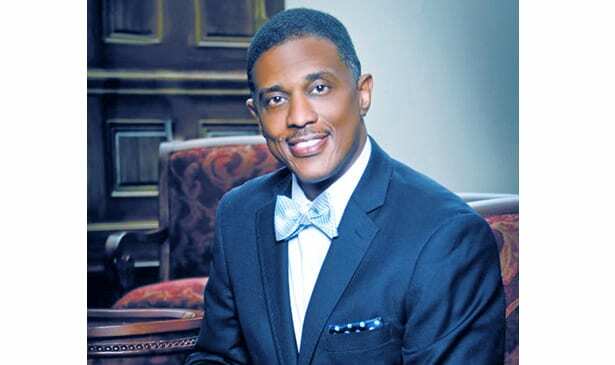 Pastor Jones is no stranger to Nashville as he is a native, a graduate of Tennessee State University (TSU), and currently serves as the senior pastor at Fairfield Missionary Baptist Church in Goodlettsville, TN. It is duly noted that prior to Senator Thelma Harper holding this position as the Senate representative for the 19th District, her predecessor was Avon Williams. who was the first African American Democrat elected in the newly configured district in the sixties. In order to weave economic development and education together in the community Jones realistically shared his viewpoint that the community must have common sense and teach more and test less. Jones stated, “Back in the day it was nothing to come out of high school with a certification and be work ready; we have to go back to those common sense practices.” When asked for further clarification, he took it to another level and said “We need to step it up and help our students excel academically and that middle school students should take high school courses, high schoolers should get college credits and parents need to help set high educational standards.” He of course added that parents must bear some responsibility and be taught how to help their children study. Pastor Jones has a firm belief that the schools belong to the community and programs cost money and under his leadership, District 19’s educational initiatives will be funded by being fiscally responsible by managing the funds they have and under no circumstance will they appear to be a program begging for funds like a welfare or EBT program. Lastly, with the rising number of shootings in Nashville as a whole, Pastor Jones made it clear that an oversight commission is necessary and more community policing is obviously needed. He stated, “People are fearful and people are afraid and there needs to be more efforts to bridge the gaps between the police and the community.” He later stated, “He supports the amendment to bear arms but common sense comes with that responsibility.” Pastor Jones wants the community to know he will be knocking on every door trying to get people to vote, he is committed to keeping District 19 great and although he is new to the political game he is the Nashville son that can, and will lead with success.